The tide has shifted politically in our country and in Wisconsin! On November 8th, Donald Trump became President of the United States and pro-gun voters such as yourself, took the elections by storm. Hillary Clinton and other gun grabbing politicians bet the farm on a gun control agenda and lost. Even here in Wisconsin pro-gun legislators have a massive majority. In fact, they have one of the largest pro-gun majorities in decades and you can help them push gun rights forward this year! Some people believe that because Wisconsin has such a large majority of pro-gun legislators in the House and Senate, we can take a break from the gun rights battle. Some people believe that we can sit back and wait for President Trump to swoop in and fix all of our 2nd Amendment problems. The reality is that we must work harder now than we ever have before. With such large pro-gun majorities, we have a chance to make a huge leap in the gun rights battle. In the 2017 Wisconsin Legislative Session, the Wisconsin Firearms Coalition is going on offense! States across the country are proposing pro-gun legislation in an effort to hand anti-gun zealots, like Michael Bloomberg and Hillary Clinton, even more defeats. Right here in Wisconsin we will be proposing Constitutional Carry — which 12 states already have as law — and at least 12 more are proposing this year alone. 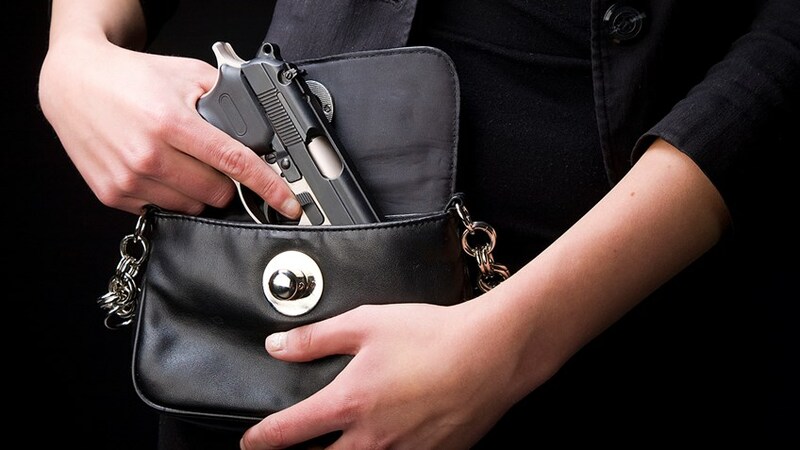 As a quick reminder, Constitutional Carry simply states that if you can legally own a gun, you can carry that gun for self-defense without first getting permission from the government. No longer would you have to submit your name to a government database and you would no longer have to pay taxes for your Constitutional right! We saw the State of New Hampshire send their Constitutional Carry bill to their newly elected Republican Governor just a few weeks ago, and he signed the bill into law! Last year we saw the biggest increase in Constitutional Carry states with Missouri, Mississippi, West Virginia, and Idaho all passing it into law. With such momentum sweeping the nation, it is time for Wisconsin to be pro-active in pushing solid, substantive, pro-gun legislation. We can no longer sit idly by and watch other states beat us in these efforts only to have us put forward weak and meaningless gun bills. It’s time for us to lead, not follow. >>> We need help mobilizing a grassroots army across Wisconsin. Please “Like” our Facebook Page and share the page with your friends. >>> Sign the petition for Constitutional Carry here to let your legislators know where you stand on this crucial issue. >>> Finally, for less than $0.10 a day you can join the Wisconsin Firearms Coalition. Our $35 Bronze Level Membership plants your flag firmly in the camp of pro-gun advocate. Join today! If you are unable to join at our $35 Bronze Level Membership, then please consider a donation of $25 or even just $10 to help us other gun owners like yourself today. Your membership helps us fund our social media, mail, E-mail, and other efforts to mobilize even more gun owners across the State of Wisconsin. Even as we push Constitutional Carry this year, we will not give an inch to gun grabbers in Madison. Recently, we broke the news that Rep. Chris Taylor has submitted a bill to bring back the 48-Hour Waiting Period to buy a handgun for self-defense. Despite her bill having little chance of passage, we intend to expose her anti-gun efforts and shut this bill down. You can help us do that by signing the petition now to stop her! The 2017 session lasts the entire calendar year and we will need all hands on deck to be ready at a moment’s notice to mobilize. Whether it is pushing pro-gun legislation — like Constitutional Carry — or stopping anti-gun legislation — like the 48-Hour Waiting Period — the Wisconsin Firearms Coalition will be fighting with you. P.S. With anti-gunners on the run after their humiliating defeat in November, it’s time to go on offense! Constitutional Carry is sweeping the nation and we need your help to get it passed in Wisconsin. Sign the petition right away to show your support! In addition to our effort to push a pro-gun agenda, we are also on the lookout for anti-gun efforts being perpetuated by Madison politicians. Rep. Chris Taylor (D-Madison) is trying to bring back the 48-Hour Waiting Period to buy a handgun for self-defense. Help us stop her by signing the petition below! Finally, in order to help us mobilize gun owners across the state, please consider joining the Wisconsin Firearms Coalition for as little as $35 for the entire year! If you are unable to join today at the Bronze level, then please consider a donation of $25 or $10 right now and help us reach more gun owners in Wisconsin.